Shop at The Forget-Me-Not Gallery for birthday, anniversary, graduation and any other special occasion gifts! Remember, all sales benefit our Crisis Hotline/Listening Line, Safe Place Grief Support program, Youth and Teen Education, and Community Education programs. More gift ware and other items will be available in the coming months. Major credit cards and checks are accepted, but cash transactions are not accepted. The Gallery and gift shop is open Wednesday from 11:00 a.m. to 5:00 p.m. and Saturdays 11:00 a.m. to 3:00 pm. and daily by appointment. Just call us! Please note , we are a small staff and we sometimes have to run errands. We urge you to call us before coming..at 401.721.5220. 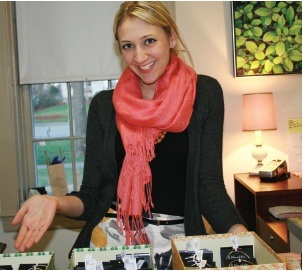 We are grateful for the support of RI’s own Alex and Ani jewelry. Our first social venture partnership, we are working with our friends at Alex and Ani to inspire young women and men to look toward a hopeful future. A gift of Alex and Ani jewelry is perfect for holidays, birthdays and special celebrations! And the best gift of all? The knowledge that with each purchase you are benefiting the mission and programs of The Samaritans of Rhode Island.